A visit to Hong Kong requires at least one dim sum meal. 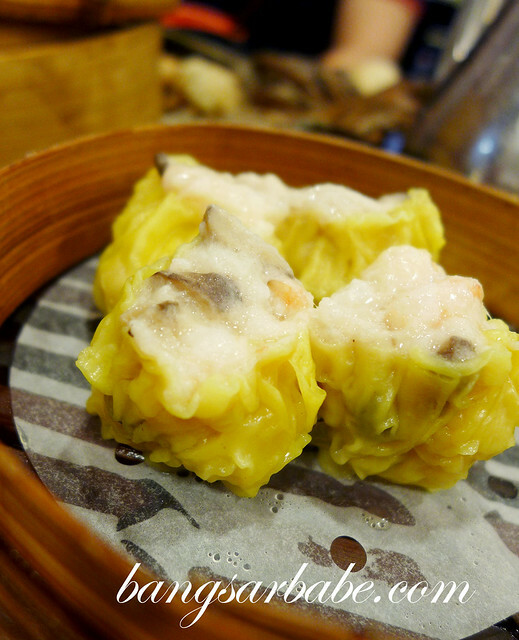 It would be a cardinal sin to go without dim sum here – dim sum is a part of the culture of Hong Kong where people gather to sip tea and tuck into freshly steamed bamboo basket with little treats inside. In Hong Kong, dim sum is consistently decent, regardless whether the restaurant has a Michelin star or a humble eatery. 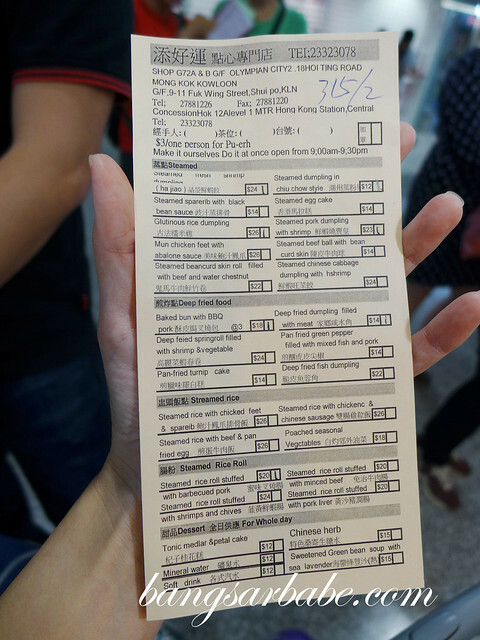 But obviously, I wanted to try the best and was told “you can’t go wrong” with Tim Ho Wan. Even I found the place cramp! The original outlet is in Mongkok, but rif and I visited the one at IFC in Central. 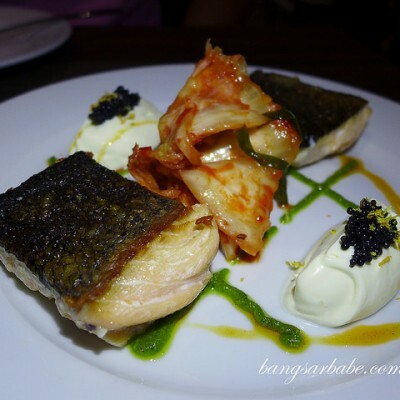 It was more convenient for us since we took the train from the airport and arrived at Central. We waited almost 40 minutes (it takes almost 2 hours to get a seat at the original outlet) before we were cramped in between two parties, on a long table. 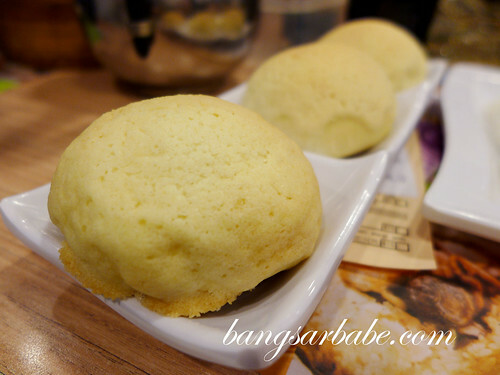 Tim Ho Wan is clattering, colourful and full of buzz. Waiters don’t walk; they spin, around the restaurant with baskets of dumplings. Turnover is fast and furious so just eat, pay and get out. Seriously. 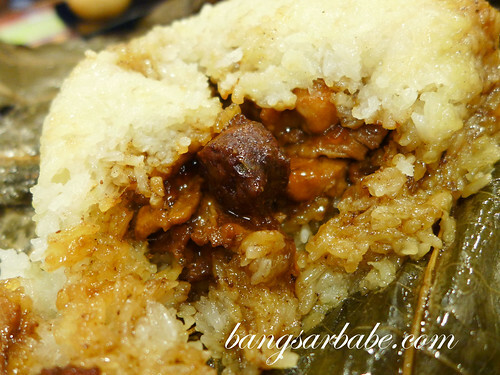 Po lo char siew pau (baked bun with BBQ pork) sounds odd, but it is a wicked combo. 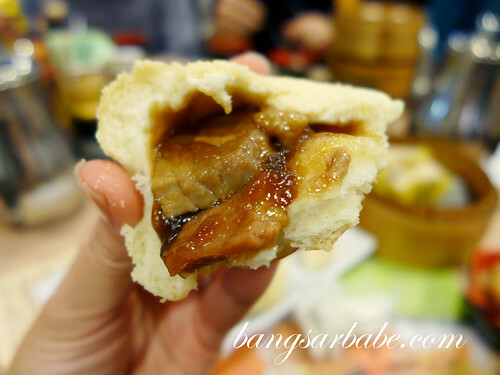 The buns ($18) are filled with richly flavoured pork and the bun pastry is sweet and flaky. 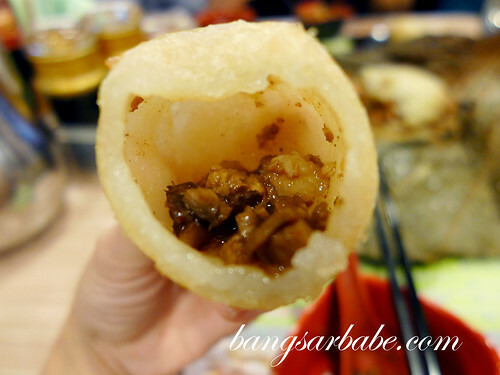 Also good is the deep fried dumpling filled with meat ($14). 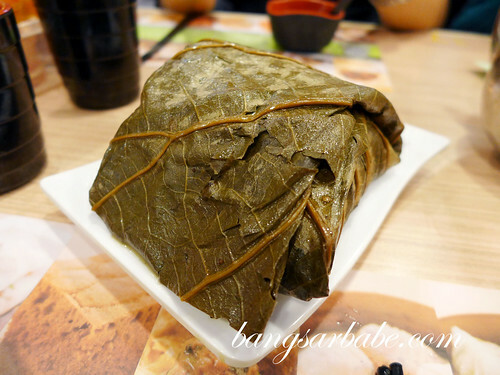 Texture is similar to our black sesame dumpling, only lighter, and the filling is aromatic and tasty. 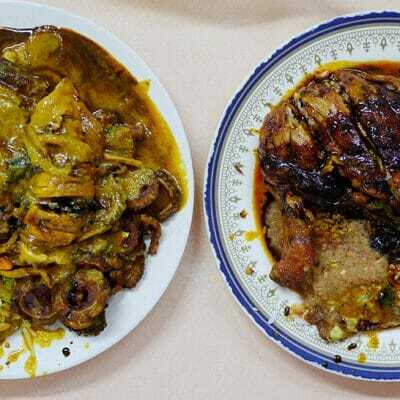 The rice parcel is filled with salted egg yolk, pork, chicken, mushrooms – coated in flavourful gravy – and smells terrific. Eat this with the chilli oil provided for an extra oomph. 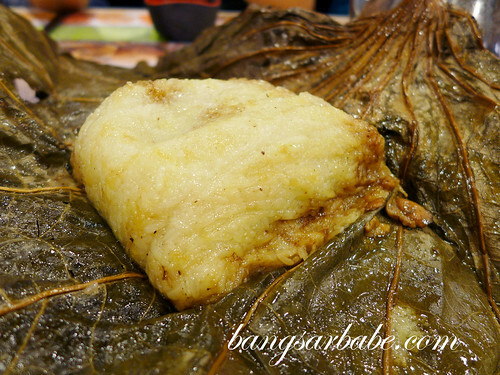 I didn’t like the steamed rice roll with barbecued pork ($20), partly because I had no idea how to eat it. 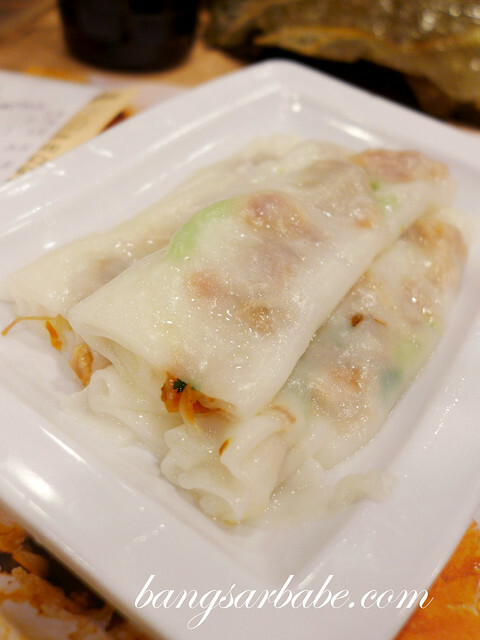 The rice roll comes sans gravy and you’re expected to add your own choice of gravy – sweet or salty soy sauce. Unfortunately, no one on my table ordered the same thing and I didn’t want to ask the waiter how to eat this rice roll. So I made do and ate half of the roll with sweet soy sauce and the other half with salty soy sauce. Both didn’t tickle my fancy. The bill came up to about $140 for the above and I found that very reasonable considering the quality and portion. I actually stopped for dim sum just before I left for KL and tucked into three items including the glutinous rice dumpling all by myself. You should have seen the look on the dim sum chef’s face. 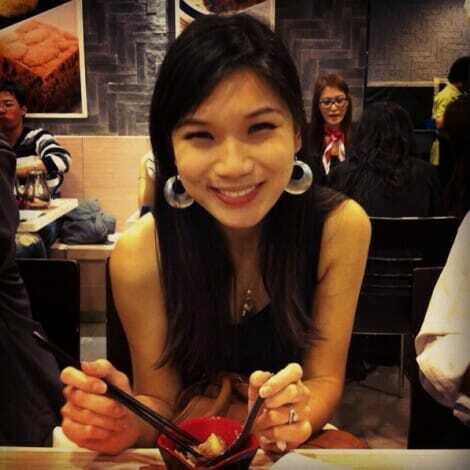 Apparently, Hong Kong girls don’t eat much. 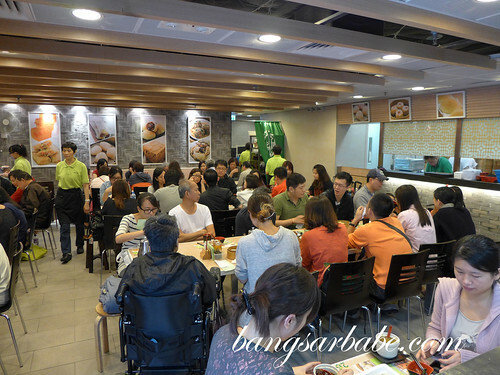 Tim Ho Wan at IFC is located in Hong Kong Station, under the mall. When you exit the train (coming from the airport), go to Level 1 and you won’t miss the long queue outside this dim sum place. Verdict: I’m still lusting after the dim sum here. 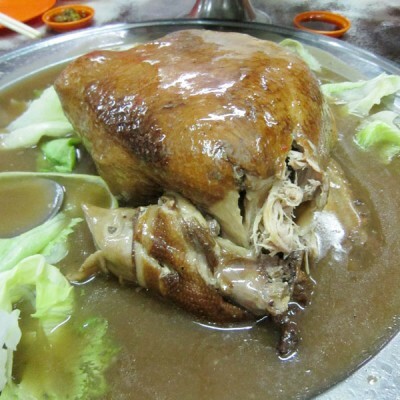 hey was wondering have you been to the Foh San Dim Sum in Ipoh ? Yes, I go there whenever I’m in Ipoh. Standard has dropped though. the 1 that looks like a colonial building with white fresh paint? am planning to go there . have you like wrote a post about that? Nope. Been to the new building a few times but have yet to get around to blogging about it. You should have went to the branch at North point which is relatively few stations away from central, whereby its not so crowded and have much more space and seats! The last time I went there in January 2013, slightly at 12pm and there was no queue and not crowded.